You know I’m winding down with blogging when the posts come at night…. So, restaurant world. You are surrounded by food. You can taste just about anything you want. Do you know how hard it is to eat a meal while working in a restaurant? Let’s just say the old joking adage of eating over a garbage can is about on par. Scarfing down your meal is almost a given. You are always rushing, and for some reason, eating is a last minute thing. “About five minutes,” she replied. I’ve learned to eat quickly and grab a lunch when I can. A few bites in the back set the bowl down and off and running again. I actually don’t mind it much. I do find it a problem when I’m at home and I find standing easier to eat… Okay, not really, but it’s what I’m used to. I’m trying to be more mindful of it. Even at work, I try to sit down for a bit. I found it rather serendipitous to find that the beer kegs are the perfect size to set a small plate in and create a ‘table’. Keg Table. How ingenious of me! I’m forever downing cups of coffee at the end of the night, not because I need a wakeup factor, but because it relaxes me as I work breaking down and checking over prep lists. But food is usually spoonfuls here or there or a very hasty lunch. It might not be the most healthy life style, but it is what it is. For the most part as well, I am not really hungry. You smell food all day and well, sometimes you just don’t want to eat. I try not to eat too much food at work as well or bring anything home because I smell it so often I don’t want to stop liking food. Various things tend to hold my interest more than others. I like savory always over sweet. Probably because I bake. It all depends. But eating on the run has become the new norm. It’s a very strange thing to go into work and have your boss say, “you lost your voice? What are you doing here? You are sick, go home.” Probably because I’ve never been in this situation. Sure, I’ve been sick working before, but as a librarian, it’s not that big a deal. In a kitchen….kind of. So there I was yesterday having Lucifer telling me to get the heck out of the kitchen. I think he felt a little bad that I had to go, and I really didn’t want to have to go home, but thank god I did. I actually love my job so much, I just don’t want to have to sit on the sidelines, even though I really want to sit on the sidelines. This virus I have is nasty. A cough, a lost voice, and just an all around “I feel like crap” feeling. So sick I don’t want to write. Ironic as here I am writing. This is more just letting the fingers vent a bit and moving. I actually finished a book last night. I think I am up to three books this year I’ve read. One that I own. I remember years ago I would read easily 20-30 books a year. My how those days have flown. I don’t have that much time for useless reading, so if I finish a book, it has to be one I really want to read or one that has caught my attention enough to keep it. I fiddled around the other day and ended up ordering six books from Better World Books, all poetry but one which has to do with cooking. Yeah, like I need more poetry books on my shelf. But I liked what one poet said in an episode of Poetry Off the Shelf. She said that she keeps poetry books scattered on her table like magazines. You can pick one up and read just one thing. That’s what I like about poetry. It can be long. It can be short. You can take it anywhere. Right now I’m a little happy with my own poetry as I took three poems into work and posted them on our white boards. Two of them I referenced in the previous post, but one was a quick little ditty about the kitchen and fast movements and in a slant rhyme style. Fun and fluffy, but oh so true. I have had several people at work quite impressed with what I wrote. Juliet was like “wow, we are living this” to me yesterday. Yes, girl, we are. We (coworkers) are so living this crazy cheffing life; the serving life. We serve. Think about that. We serve. We are placing food out for other people. If you look at it that way, it sounds menial, but it is so not. I have had several people so excited for me when they find out I am a prep chef. Especially when they find that out, and that I am not a waitress (server, as we call them). They are ecstatic for me. I’m ecstatic for me. There I was on Thursday night, working on a new chocolate frosting for our cakes, experimenting to some degree, but knowing what I wanted. I had the time and the luxury to play around with ingredients and get the input of several people about what we wanted the cakes to look like (now that the menu is about to change…) and it was this great collaborative movement. Having servers walk by and ogling your frosting; let’s just say it did not take any coaxing to get a single one to try it. Everyone was super impressed. A hazelnut ganache frosting. Yeah, it was swoon worthy. I want to be able to create more and have that look of hunger cross people’s faces. Like this ultimate desire. Food is very magical and powerful that way. I suppose I shouldn’t sound surprised by saying that. Everyone can name someone that moans when they taste something divine. I do it. I’ve done it. Much to Lucifer’s laughter since he does it on a regular basis. Note to readers, chefs do like food. Ha ha. Food is power. Something so primal and relatively simple is at the basis of our being. Eating. And taste, well, there is a reason it is one of the five senses. So, reading, writing, experimenting with food, are definitely going on right now. And giving myself a little rest from probably the last 8 months of crazy work. I think my body finally said, “honey, you need a break”. So break it is. Lots of lemon, honey and Alka Seltzer. Thank god for that. Hope all you dearies are healthy and happy and enjoying the food blogging I seem to be perpetually posting. I’ve been a little disinclined to submit anything to anywhere because I’m tired. Maybe as the weather cools off. And The Meal Was. . .
Have you ever paid attention to a meal when it is written about in a book? Surprisingly, even though my eating habits lie along the lines of “have to” at this point in my life, I still appreciate good food and how it’s written. I think my first example of paying attention to food was a child’s books where bread, butter, and jam sandwiches were served. I can’t recall what book per se, but I have always paid attention to food. I aught to as my sister is forever keeping her journal which is basically recording down the day’s food. She reads The Food Lover’s Companion like the Bible, and we collect cookbooks to read. I just started reading What She Ate by Laura Shapiro and one chapter talks about the British author, Barbara Pym, who delighted in describing meals. She noted them in journals and never left out a simple meal. Apparently. I’m off on a quest to find one of her books as they sound marvelous. The thing that caught me the most was how Ms. Pym (don’t you just love that name?) kept those notebooks where she wrote everything down. When she would go out people watching, every little detail was written down, especially the food. Describing a simple salad, or a boiled chicken. (They are very decidedly British after all) But food is described. I’m in love. I mean, what better thing to focus on to slip into various bits of storytelling? We eat. I mean, I find it rather interesting that we never describe our daily ablutions in books, unless a woman is dressing and putting on her face. Granted, we don’t know all the daily doings of our characters, though I find it rather interesting. Personally. But back to food, most people enjoy eating. And we all want to eat well. What I think is eating well might not appeal to others as I like fairly plain food, but I have never known someone to not enjoy a meal at our home. Simple is nothing to scoff at. Why, the other night, I came home late from work where I was sending off fancy dishes, and my kept meal was pan-fried pork chop, sauted kale with garlic, farfalle with Parmesan and butter, and a simple salad (head lettuce and tomato, if I recall). Simple, basic, but pleasant after smelling so many exotic scents exiting my Chef’s kitchen. If there is anything I can learn and glean from this essay on Barbara Pym, it’s to keep track of food better (not to mention people watch better) and write it down. Even if watching a cooking show. Oh, I imaging Ms. Pym would have loved Barefoot Contessa! Do you pay attention to food in books? Do you collect cookbooks and recipes? I certainly do, even if I never plan to cook them. My Library has plenty of lovelies. I carried on an online correspondence with a British man who said in England Delia Smith is a Goddess. I’ve never forgotten that and I’ve paid attention to food due to little things like this. Ratatouille is the best foodie film ever, in my opinion. And Rex Stout’s Nero Wolfe books have Monsieur Wolfe a true epicurean, albeit a bit extravagant in my opinion. So, again, foodies and writers alike, comment please. I’d love to know your thoughts. Any good meal descriptions you’d like to share? Please do! With a very adult twist. All with fried eggs in a darkened haze. and challah spread with mascarpone. So an actor I know just posted about a marvelous breakfast nighttime restaurant on Facebook and so far, everyone has been oohed and awed by what could be from this place. I so want to go. I love eating breakfast when it’s late at night. I’ve gotten breakfast for dinner when I went on a date with a guy, and there’s something so homey about it. My grandparents love breakfast dinners. They are the best. The title of this piece is actually the place and if you click this link HERE you can read the LA Times article. While it wasn’t written for today’s prompt, I did write a piece about eating burgers at night which is Cheeseburger Hunger. That one is a favorite of mine. So enjoy these fine eateries. Lizzy & Jane by Katherine Reay; the sophomore novel by the author of Dear Mr. Knightley, is just as charming as her first. Lizzy and Jane, sisters, are nothing like their namesakes. In fact they are much more like Anne Elliot and Mrs. Musgrove from Persuasion if I had to pick two people from a Jane Austen book to compare these two. In fact, Lizzy, the one telling her story, alludes to Persuasion several times within the story. Lizzy has lost her touch in cooking. Just just doesn’t have that zing she had when she first opened Feast a small restaurant in New York City, funded by the charming, but ruthless Paul Metzger. Paul decides Feast needs a bit of help, so in comes the dazzling and popular chef Trent Murray. Now, not only has Lizzy lost the top position in her restaurant, but her sister is struggling with breast cancer and chemotherapy, something their mother succumbed to back when Lizzy was in high school. 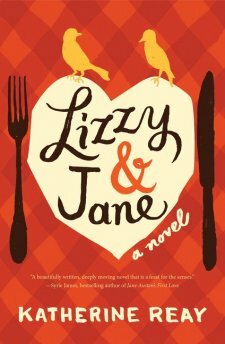 Lizzy has never forgiven Jane for leaving after high school, being eight years older, and never coming home during the time Lizzy’s mother passed away. Needless to say, there is animosity between the sisters. But Lizzy needs a change. So she packs up and flies back to Seattle to visit and try to find that zing she has lost. From dealing with her sister’s chemo treatments, reacquainting herself with her father and nephew and niece, and even meeting Nick, Jane’s colleague in the marketing world, Seattle is almost more than Lizzy bargained for. And Nick is more than Lizzy expected. Single father of an adorable little boy, he’s a cautious man that has been stunned by Lizzy’s sharp New York self. But he can’t stay away. Somewhat like a Mr. Darcy we all know and love. Will Lizzy get her zing? Will she and Jane ever reconcile all their past hates? Will Lizzy end up with Paul, Trent, or Nick? I want to tell you. I really do, but I say just read the book. This book is seriously within my favorites book. I want to share it with everyone, yet I will not give up my copy, it’s too good. If you like Jane Austen, or read Katherine Reay’s Dear Mr. Knightley, then you will love this book. Five out of Five stars. This book was provided to me free through Harper Collins Christian Publishing via BookLookBloggers for my honest review. Go figure, but this year I am so into Pumpkin Spice I’m probably going to wear down my family. I want to mix it in everything. 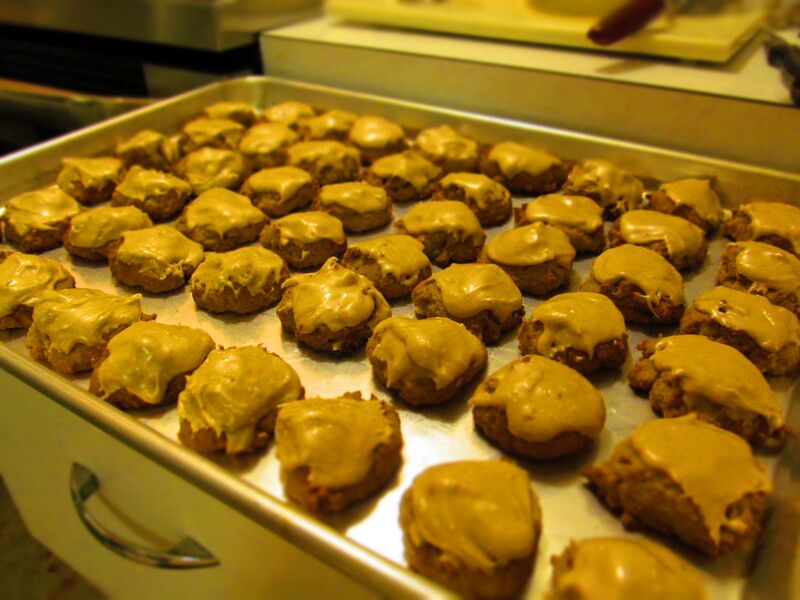 I’ve mixed it with plain hot tea and come up with an amazing spiced tea; I’ve put it in oatmeal with raisins for breakfast; I made pumpkin cookies that didn’t have pumpkin spice in them per say, but cinnamon was definitely in them…. I cannot get enough of this stuff. See the cookies I made last night? Marvelous aren’t they? 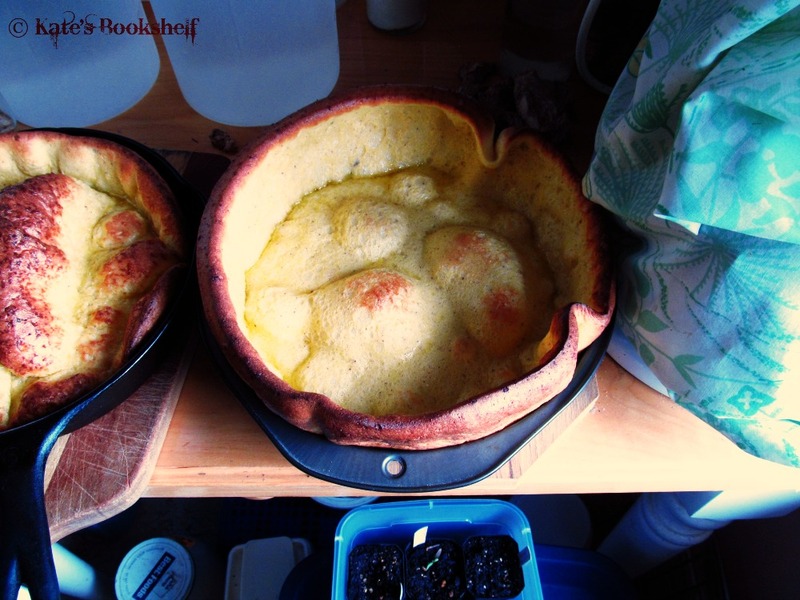 Then there is this marvelous recipe from Joy the Baker that I feel I must try. Maple Spiced Almond Milk with a hint of Pumpkin. I haven’t sat down and soaked my almonds for making into almond milk, but I do have the pumpkin out. So I need to do that. I want to smell the spice everywhere. I want it in everything. I want to sprinkle it on my toast with sugar. I want to eat it in pies and cakes and drinks. There is something so delicious about the spices. And I find it rather interesting that they say men absolutely adore the scent of these spices. Want to catch a man? Bake a Pumpkin Pie….. Or maybe just sprinkle on some of the spice cabinet…. Pumpkin EVERYTHING!!! 17 recipes to kick off your Fall season! And everything that was before. Okay, I was really in a mood last night and for some reason the thought of being hungry after being with someone struck me as ‘I HAVE TO WRITE THIS’. So I did. Cheeseburgers were the focus after hearing about a barbecue-bacon-blue cheese burger with beer battered curly fries on an episode of Eureka and a few days of not eating much more than toast, so I was hungry. And yes, I had someone in mind when I wrote it, but I do hope you all enjoy. Incredibly free verse here, and a bit more adult, but I had fun. I suppose I could tweak it till forever, but other than a few line changes, some spelling corrections and a few other things, I like it. So I think I’ll keep it the way it is. Course now I have to re-copy it down on paper since it does not match what I scribbled in my journal last night.